Our combined 3rd / 4th team recorded a dramatic win over Wollaton in the quarter final of the Raleigh Cup. claiming 3 wickets apiece we lost 2 wickets in the first over and things looked bleak as wickets fell regularly such that 6 wickets were down and still 80 runs required. 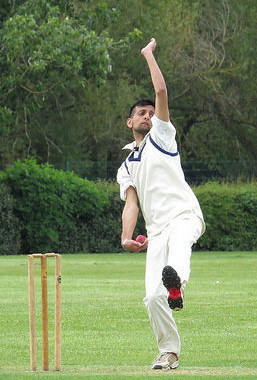 However a great partnership between Pete Bateman (30) and Arjun Sandhu (38*) got us to within striking distance and it was left to Arjun and captain Paul Hallam to knock off the remaining 20 runs for what at one stage looked the most unlikely of victories. The semi final will be against Plumtree at The Strand on a date yet to be confirmed but likely to be Wednesday June 24th.